There is something magic about the snow, thought the little girl, and she stood outside her house as the first snow of winter drifted down towards her. The flakes swung toward her like a magnet to rest on her face, her shoulders, her hair. She opened her eyes wide and stared up into the dark sky, mesmerized by the white swirl over her head. When she awoke the next morning, the girl knew, the whole world would be white. 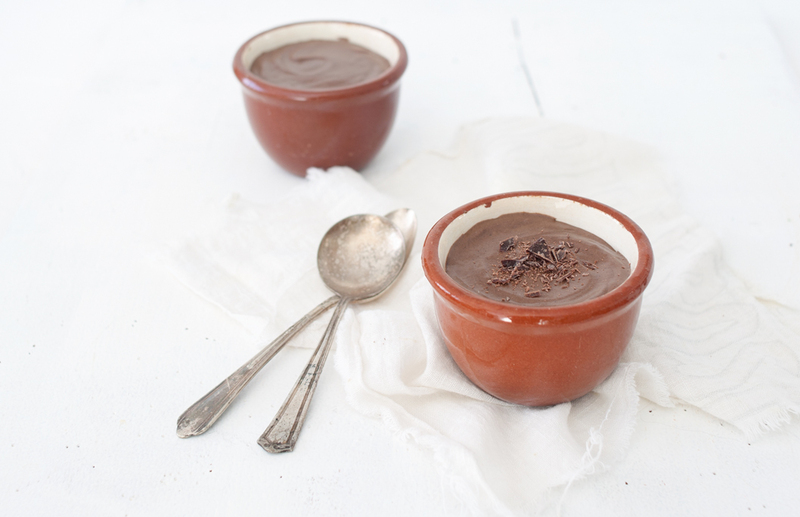 The girl’s grandmother shook her head and picked up the dish of warm chocolate pudding but when the girl held out her hands for it, she paused. She gave her granddaughter a knowing look. “Your mother needs it more,” she murmured and she pressed it into her daughter’s hands. “Eat your medicine, Charlene,” her grandmother said, in that tone that said she would not be denied. The girl stared up at the night sky and watched the snow fall. She wondered if, as the pastor had said, her grandmother was nearby, right now. Maybe she was in the snow. The girl blinked, searching for her. The girl continued to stare up at the sky. She tilted her head up and felt the snow touch her face. I don’t need it yet, she thought. Not yet. 1. In a double boiler, whisk egg yolks with sugar and salt until sugar dissolves and mixture is warm (about 2 to 3 minutes). 2. Off heat, whisk in chopped chocolate until melted. Cool to room temperature. 3. In a medium bowl, whip cream until soft peaks form. 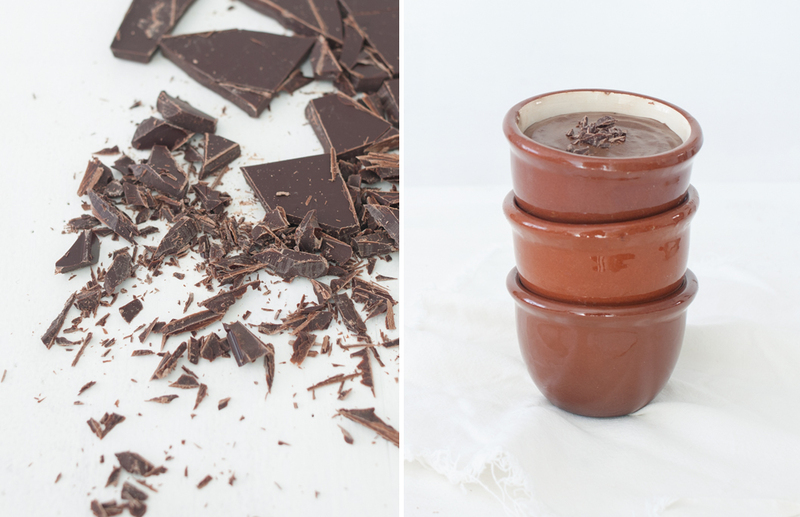 Whisk half of whipped cream into room temperature chocolate. Gently fold in remaining whipped cream. 4. 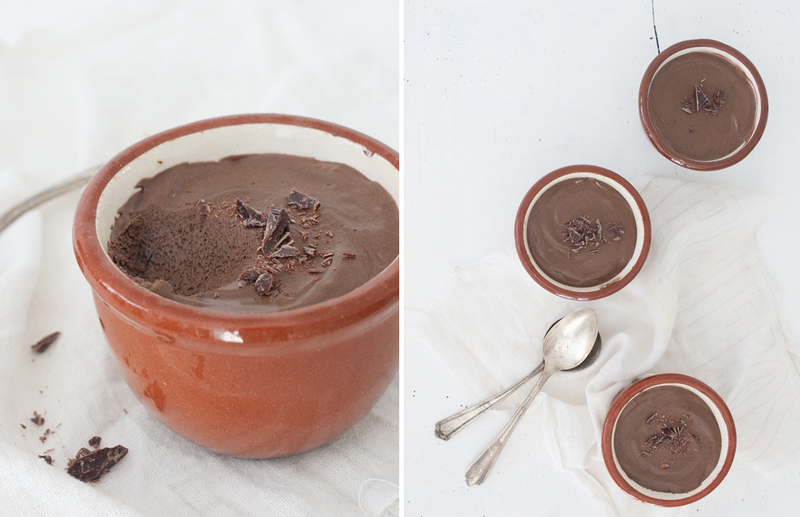 Divide mousse among four dishes and chill, for at least 2 hours. 5. Before serving, remove mousse from refrigerator for 15 minutes. Garnish with shaved chocolate.